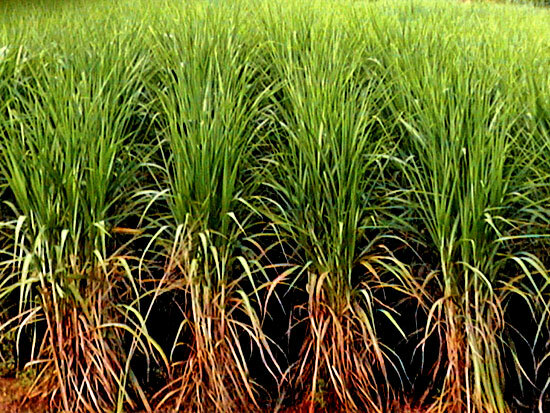 The Ministry of Supplementary Crops Development and the Sugarcane Research Institute will increase the cultivation of sugarcane to manufacture ethanol which will save billions of rupees from the country’s annual fuel bill. Plans have been mooted to cultivate sugarcane in the Badulla, Ampara and Moneragala districts where vast areas of land are available. Plantation Ministry officials met farmers in Kahatagasdigiliya to look into the possibility of cultivating sugarcane in the area. Around 40,000 hectares of land are available in the Anuradhapura district for cultivation. Ethanol is a good additive for petrol which is costly and causing a huge burden on the economies of developing countries. Brazil, United States, India and Australia have reduced the annual fuel expenditure by increasing the use of ethanol as a substitute for petrol, Chairman, Sugarcane Research Institute, Dr. C. S. Weeraratne said. The country imports around 500,000 mt of sugar per year at a cost of Rs. 20 billion. The country produces 10 per cent of the annual requirement of sugar which is around 550,000 mt. Around 15,000 hectares of sugarcane are cultivated in Pelwatte and Sevanagala. “By promoting sugarcane cultivation more ethanol could be produced to increase blending with petrol up to 5 per cent. Bagasse, a byproduct of the sugarcane industry can be used to generate electricity and manufacture organic fertiliser”, Dr. Weeraratne said. Pre-feasibility studies have been carried out on land availability in many districts and prospective investors will be sought for the projects. A farmer could earn around Rs. 25,000 per acre of sugarcane. The Ministry will promote the production of jaggery through smallholders which will generate employment for people in the area. Sugarcane will be cultivated in the Kurunegala and Matara districts as an inter crop to coconut cultivation to manufacture jaggery. “Sugar plays an important role in the food security and supplies around 5 per cent of the energy required by a person a day. A person needs around 2,500 kilo calories of energy a day”, he said. The global food crisis has grown into alarming proportions this year compelling nations to cut exports and increase domestic production. The poorer nations of Asia and Africa are the worst hit due to the crisis which the United Nations called another tsunami. The escalation in world fuel prices, increase in consumption in India and China and the adverse weather conditions were cited as reasons for the shortage of food and the steep rise in prices.